Two reasons to celebrate this week, firstly the arrival of a fantastic new sporting slot and secondly, a whole new gaming feature for those that want more control over the games they play. Here we present Bookie of Odds™ by Microgaming, the hottest new game out this month and a must-not-miss opportunity to win BIG!!! Sports and slots are rarely combined, and the new online slot presented by Microgaming is adding a new and exciting option with the lobbies of South Africa’s top online casinos. 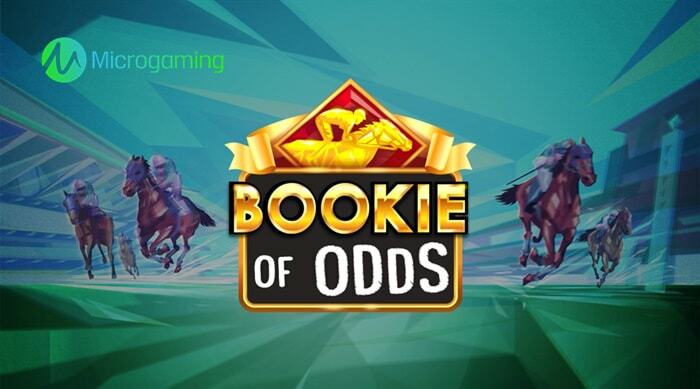 Bookie of Odds™ is a horse-racing game that has picked up the trophy for Game of the Week not just for its diverse theme compared to all other releases, but also because Microgaming have once again made a ground-breaking feature that changes how you spin the reels of the online slot machine. This is not just a game for sports fans or those which like a flutter on the horses. If you are a fan of nostalgic machine slots, then this is a game that will bring back all those old feelings. 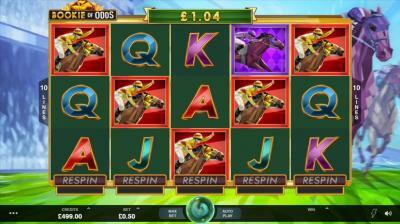 The game comes with a retro feel which is well suited to the theme of horse-racing. Within the features, you have a range of profitable symbols to win from. The Scatter Symbol unlocks the bonus feature which comes with up to 25 free spins. The bonus game holds randomly triggered Expanding Symbols which can equate to a 5000 multiplier of your wager. This makes for the jackpot to win a sum of R1,950,000 to win! The integral feature of this game, however, is the Respins feature. This is a world-first for online slots and allows you to play the game as you want, giving you full control over how you win. Each of the five reels have a Respin button and you can spin any individual reel at any point during the game. If you have matching symbols on reels 1, 2, 4 and 5, then try spinning reel 3 on its own to see if you can hit 5 of a kind and pick up a massive win! Play Bookie of Odds™ by Microgaming over at Sloty Casino and claim your R22500 welcome bonus.